Very quick to assemble, I did it alone but would definitely be easier with an extra set of hands. Took less than 10 minutes per chair (the second was quicker, once I figured out that it was easier to flip over and add the base rather than put the seat on top before inserting screws). Very comfortable and great value. I just got them so not sure how they will hold up but very pleased! 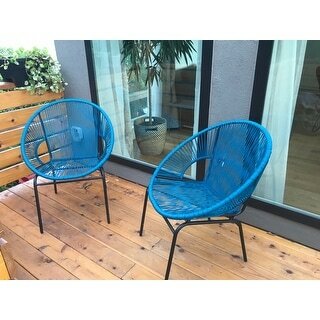 Give your outdoor space a sense of simplicity and design these Sarcelles wicker patio chairs by Corvus. 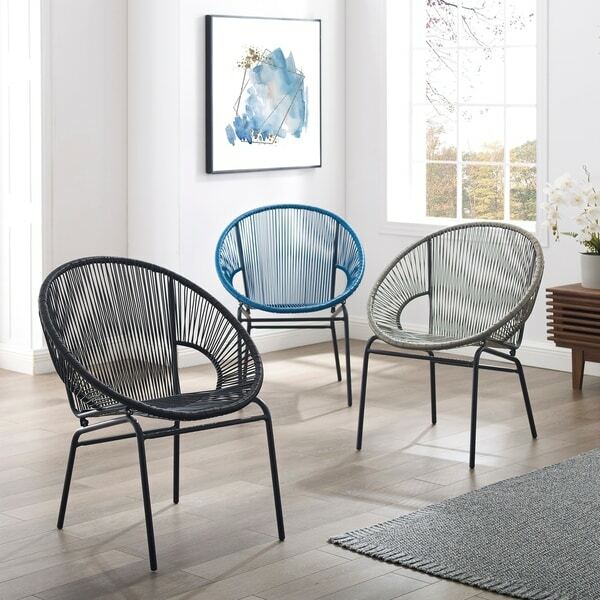 Made of sturdy metal frame, these chairs are crafted from woven PE wicker. With wicker cord design and simple lines, the slightly reclined seats provide support and comfort for you to enjoy the outdoor leisure. I just received 2 of these yesterday! They were delivered well wrapped and no damage. Easy to put together and sturdy! They are really comfortable. I originally wanted them outside, but decided this one looks good in my livingroom :) Great purchase and awesome price for the quality! This is such a cute set. 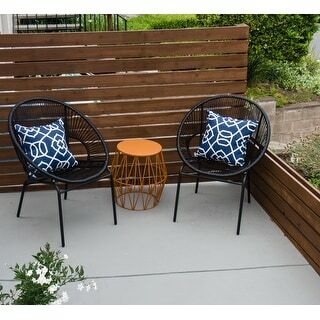 Easy does symbol and the perfect addition to small patio area. The color is just as it looks and it’s super comfy . 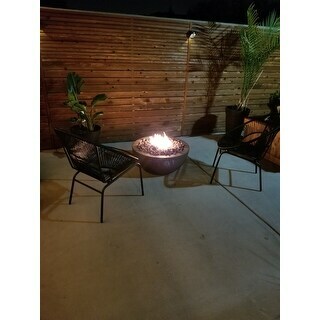 Purchased the black color and worked out nicely with our patio. Happy with the construction and design of the chairs too. 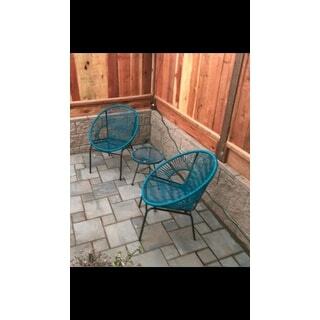 Beautiful quality Wicker Patio Chairs! Very sturdy, easy to clean. Simple assembly and a GREAT price! The gray color looks accurate on the website. 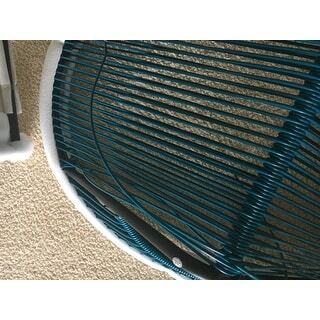 It is more like plastic than wicker...but that makes for easy cleaning. 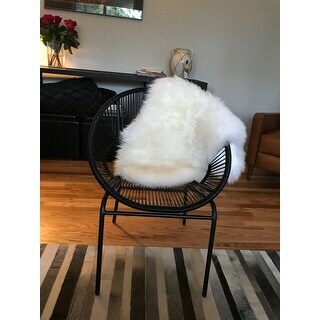 The look of these chair for the price is great. I was looking at the same chairs at another retailer for more than twice the price. They really gave my patio a clean updated look. I would have given it 5 stars but they were a little difficult to put together and still we can't get all of the screws in the holes because they just don't line up. But they do still feel sturdy and I believe they will last us for awhile. Thesewoven wicker patio chairs are wonderful! The color looks great. They are more comfortable than I expected. My kids love them! I originally bought them to go on my lower deck, but they fit in nicely on our top deck with our current patio furniture. I think I'll have to buy another set. Assembly wasn't too bad either. Very happy with the chairs and matching table, just what I wanted. Chairs are fairly comfortable considering they are wicker. I would recommend this product. The chairs are light weight yet very comfortable and sturdy. I found two cushions for them that perfectly fit the seating area. They are well made, a nice size and fit perfectly into a small seating area off our kitchen area. Yes, I definitely would recommend these chairs. They also would be perfect on a porch or patio! Well made and so comfortable to sit in! Highly recommend! Also, it was a breeze to put together. Fiesta time! We love our new patio chairs! 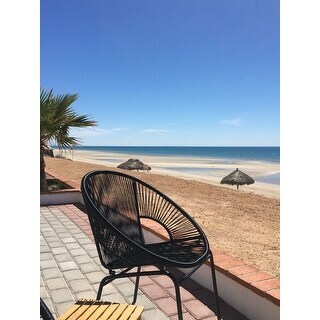 My 6’3” husband and I (5’4”) both find them super comfy and spend hours in them watching the ocean from our Mexican beach house. Join us! Very comfortable and durable. We love the color that brightens up even a cloudy day. Great quality and weight. Perfect and you can beat the price. They look really nice. Great looking and comfy chairs. These woven chairs arrived quickly and were not too difficult to assemble. 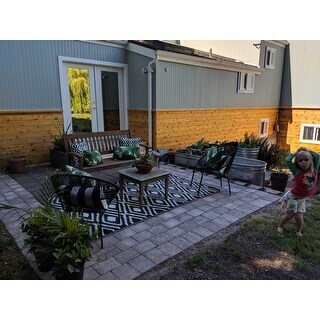 I ordered the black, and they look great on the paver patio of my mid-century modern home. These are super comfy. They are a little more expensive than similar ones at , but the reclined design provides a much more relaxed position and comfort and worth the extra $. Love them! And comfortable too. Definitely recommend them! "Will these hold up around the pool?" "Is the blue a true blue? I’m looking for something to be a little in the turquoise family." This blue is a Peacock color actually. I would call it teal or dark turquoise. Definitely in the turquoise family. It’s gorgeous. No, they are not stackable. No, but if you turn them front to front they can be stacked up, just not very neatly. "Where do I order the table"
Unfortunately the table is not available at this time. The matching table is #24135365. "What is the weight limit of the chair?" It's approximately 300 pounds for each chair. I'm not sure. I'm over 180 lbs and It's comfy.